After the launch of MUFPP at EXPO Milan, what is going on? On October 13-14 2016, in Rome, Italy, in the FAO headquarters , for two days, Mayors and representatives from over 40 signatory cities of the Milan Urban Food Policy Pact, technical experts and country representatives and other stakeholders met on the occasion of World Food Day to review the progress of the Milan Pact and discuss priorities, results of follow up to the Milan Pact launch one year ago by the city of Milan, present the Milan Pact Awards and discuss and next steps. Just prior to the Rome meeting the new Milan Pact Steering Committee cities were announced, with the election of 13 cities. The Steering committee elected Milan to be the president of the Steering Committee which will remain in place for two years. The Technical Workshop on 13 October began with the presentation of the preliminary results of two surveys to signatory cities. The purposes of the surveys were to see what priorities of cities may shape the development of indicators and the availability of data to measure progress in implementation of the Pact. A discussion of networks at global, national and local levels ensued, with input from C40, Eurocities, the European regional office of ICLEI, the Italian healthy cities network (Cittasane), francophone African cities, the US Conference of Mayors’ urban food policy directors task force and a Dutch network of cities. One important discovery is that in existing networks at all scales, working groups including Milan Pact cities and other cities interested in the food policy issues as presented by the Pact have been initiated (e.g. C40, Eurocities, US Conference of Mayors,). In emerging networks Milan Pact cities have been at the forefront and non-signatory cities are included in these organizing efforts as well (e.g. African cities, Dutch network, Healthy Cities network). The final part of the workshop was a presentation by FAO of technical peer-to-peer cooperation and exchange of practices drawing from past city-to-city exchange in the technical cooperation programme. 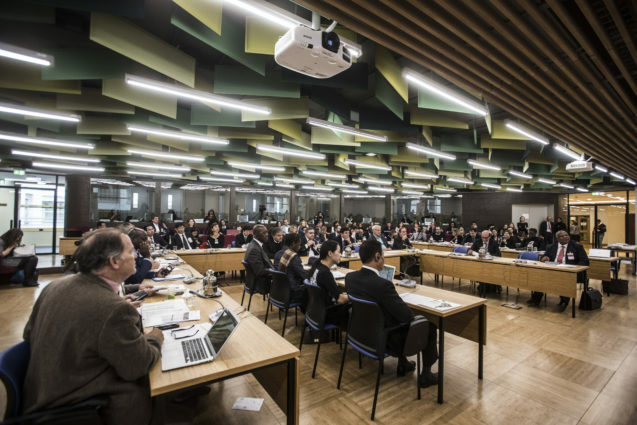 On October 14, World Food Day, the Milan Urban Food Policy Pact Mayors Summit occurred after the official World Food Day ceremony hosted by FAO. The FAO Director General opened the summit referencing links of the Mayors Pact to ending hunger, fighting climate change and to the implementation of the 2030 Sustainable Development Agenda. Supporting statements were made by Mayor Sala of Milan and representatives of the Italian Food and Agriculture Ministry and the City of Rome. Keynote addresses and a mayors debate brought out the many challenges and opportunities presented by efforts to implement the Pact. The next city for the third annual Mayors Summit will be Valencia Spain in 2017. Our Vision - Legal Notice - After the launch of MUFPP at EXPO Milan, what is going on?